Businesses have a responsibility and a legal obligation to follow competition law as laid out in the Competition Act 1998. In recent years, many large companies have been fined for involvement in cartels, and it is important for businesses to be aware of the dangers and pitfalls to avoid falling foul of the law, and racking up eye-watering fines which could run up to 10% of revenue. 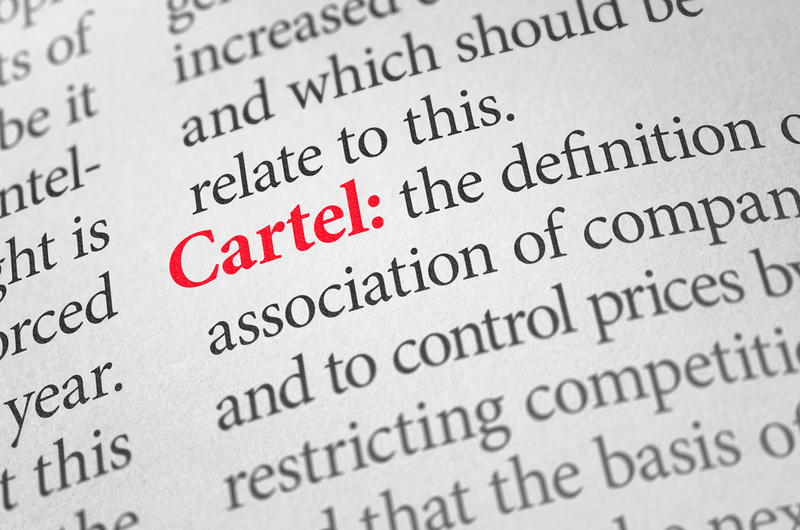 A cartel is an agreement between competitors which results in anti-competitive activities. This could include an agreement to fix prices, share markets, rig bids or limit output at the expense of the interests of customers and without any countervailing customer benefits. They increase prices by removing or reducing competition which results in increased prices for customers. They have a corrosive effect on the wider economy, as they reduce the incentive for businesses to operate efficiently, innovate, and provide the best value for money for consumers. Cartels lead to higher prices, poorer quality, and restricted or no choice. In July 2018, investment bank Goldman Sachs was found liable for violating competition law by indirectly holding a stake in a company that has been involved in cartel activities. Prysmian was found to be involved in a cartel along with several other producers of underground and submarine voltage power cables between 1999 and 2009. In 2005, a Goldman Sachs-owned fund acquired 100% of the capital in Prysmian, making them indirectly involved in their illegal activities. In this case, the level of liability on the part of the parent company depends on their involvement in the company that is participating in cartel activity. In this case, Goldman Sachs’ initial 100% ownership of Prysmian, which later decreased to around 90%, together with the fact it owned 100% of the voting rights, meant they were liable. In the first such case, electricity company BritNed won the first follow-on cartel damages case, winning a €13m payout from ABB. As a result of the power cables cartel that Goldman Sachs was indirectly involved in above, ABB was found to have charged BritNed a higher amount for a submarine cable system. The court found that ABB had kept BritNed away from negotiations, allowing them to charge them €13m above the normal price for such a project. On 7 September 2018, UK’s Competition Appeal Tribunal (CAT) upheld a decision from the previous year that Ping Europe Limited’s (Ping) preventing of retailers from selling tailor-made golf clubs online had infringed EU and UK competition law. The original fine was for £2.45m, which was later reduced, following the appeal, to £2.25m. The CAT ruled that the ban on online sales restricts retailers from competing online, with consumers being limited in options by not being able to compare online prices. VinciWorks’ course, Competition Law: Know Your Market, contains a module covering cartels. The course includes real examples of potential cartel activity, with the user having to determine whether or not there could be illegal activity in play. You can demo the course here. This entry was posted in Thought leadership on 29th October 2018 by VinciWorks.